Additional Resources | Campaign for Working Families Inc.
CWFI partners with Intuit TurboTax to allow qualifying taxpayers free use of the Freedom Edition. If you are comfortable using a computer and following instructions, this option is for you. Click here to access our unique link and file your taxes online today. The IRS Free File program also offers a free online option for filing your tax return yourself. If your income is less than $64,000, then you can file through our other FREE tax prep tool through MyFreeTaxes.com, courtesy of United Way Worldwide. File your taxes with PA or NJ now. File a Federal tax return and claim it before you can receive EITC. Click here to calculate your EITC. You can now get a copy of your tax or wage transcript online for previous tax years. Click here to access the secure IRS portal. Interactive Tax Assistant (ITA) The ITA tool is a tax law resource that takes you through a series of questions and provides you with responses to tax law questions. Click on the link above to try the ITA tool. Download forms, publications, and access important information regarding your taxes, identity theft protection, penalties, and more by clicking the link above. 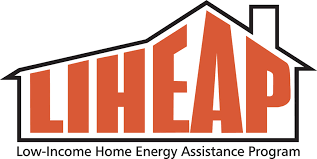 LIHEAP, the low-income home energy assistance program, opened on November 1, 2016. Click here to learn more about the program and submit your application today. Click here to complete an unemployment application. Please beware of fraudulent sites, when submitting your personal information. The PA Dept. of Labor & Industry will never ask you to pay for UC services, or your credit information. There are now three different ways to apply for or renew your benefits. You may choose to do so online, with a paper application, or in person. Click here for more information and to start your application process. SMART goal setting brings structure and accountability into your goals and objectives. Download our brochure by clicking the image above and try setting S.M.A.R.T. financial goals today! The Lubert IDA Program is a savings program that helps working individuals save for post-secondary education or their first home; assets that will help secure their long-term financial stability and security. 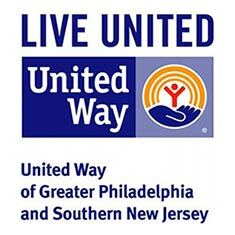 United Way is a partner in the JOIN Collaborative, a partnership created to address the workforce crisis in our region. JOIN acts as the “matchmaker” between industry and the workforce, leading partnerships that train low-wage workers for high-demand, available positions. United Way has partnered with FamilyWize to provide free prescription discount cards across the region. FamilyWize cards immediately lower the cost of prescriptions for people without insurance or who take medications not covered by their plan. Discounts vary, but on average, card holders receive significant savings. The Homestead Exemption offers Real Estate Tax savings to all Philadelphia homeowners by reducing the taxable portion of their property assessment by $30,000. Learn more about eligibility requirements and how to apply by clicking the link above. The rebate program benefits eligible Pennsylvanians age 65 and older; widows and widowers age 50 and older; and people with disabilities age 18 and older. The income limit is $35,000 a year for homeowners and $15,000 annually for renters, and half of Social Security income is excluded. For more information and eligibility criteria, click on the link above. If you are a senior citizen you may be entitled to a discount on your water/sewer bills. You must, however, be 65 years of age or older and your annual combined income for you, your spouse and all members of your household cannot exceed $32,000. You may file the application based on income for the prior calendar year. Click the link above to fill out your application today! The Affordable Care Act put in place comprehensive health insurance reforms that have improved access, affordability, and quality in health care for Americans. Click here to learn about the law, how to get coverage, and how it has helped people across the country.